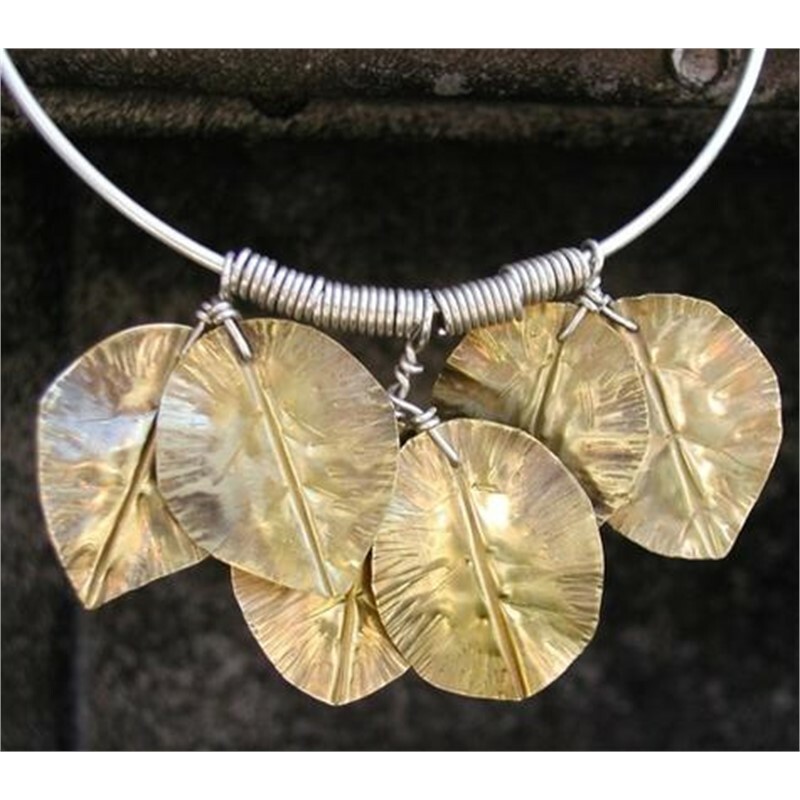 Duffy Brown's hand fabricated jewelry is inspired by the colors and textures of natural objects. 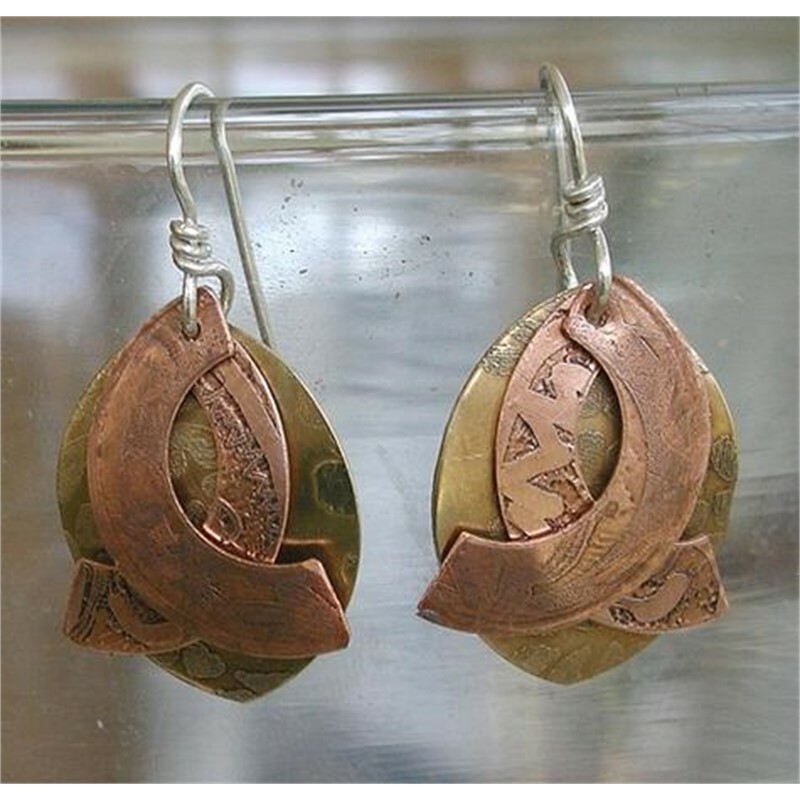 She enjoys using mixed metals: sterling silver, copper and bronze. 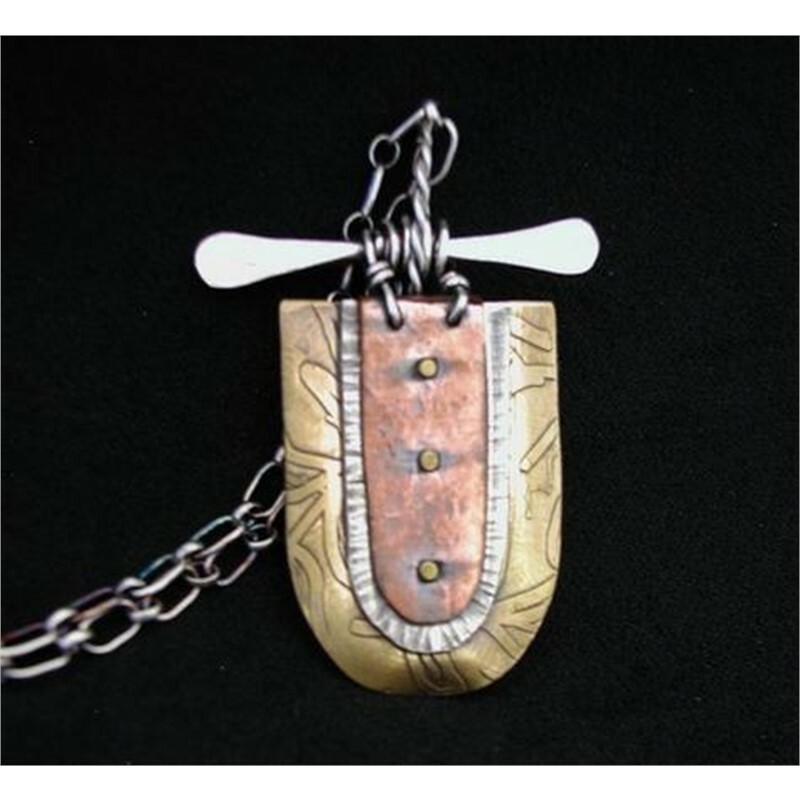 Found objects are often included in her designs, including shells, river rocks, colored porcelain, glass bead mosaics and other items. 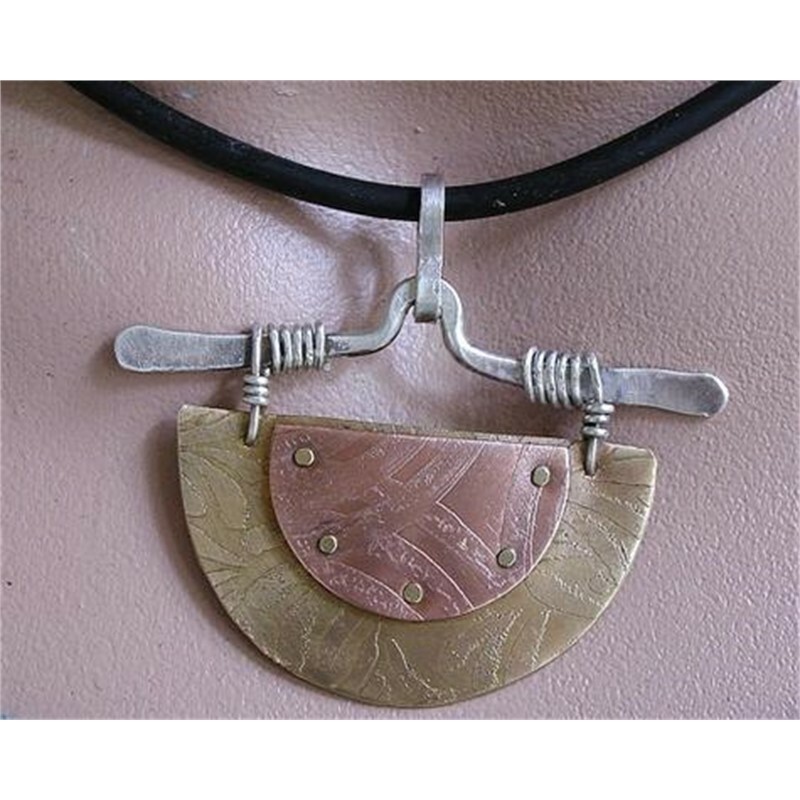 Recently Brown has added lapidary skills to her resume and now also uses stones that she has cut and polished in some of her pieces. 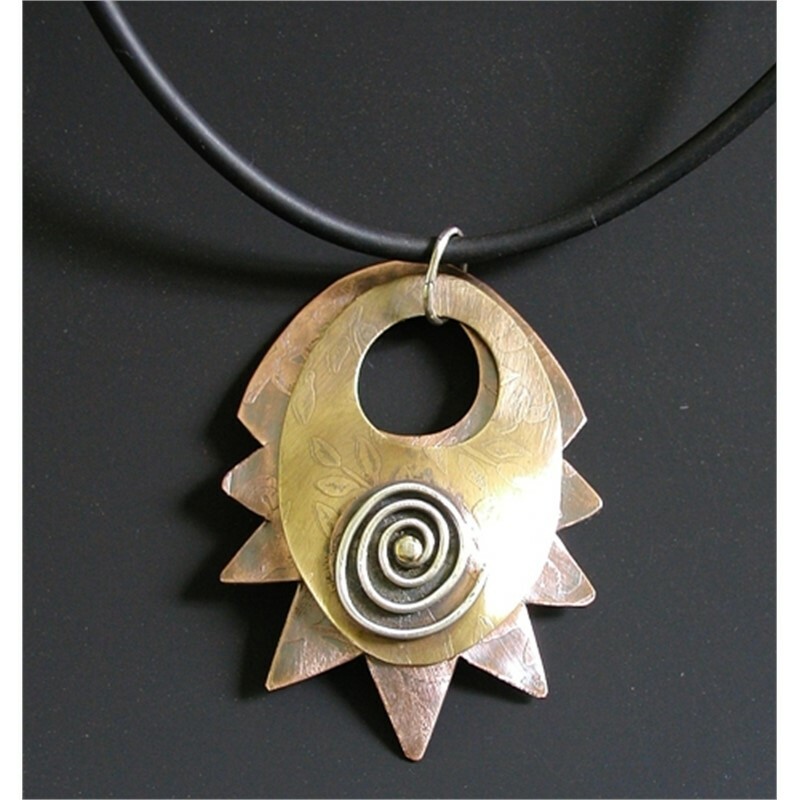 Techniques used to produce this jewelry include riveting, bending, etching and forging the metal along with adding patinas for color. 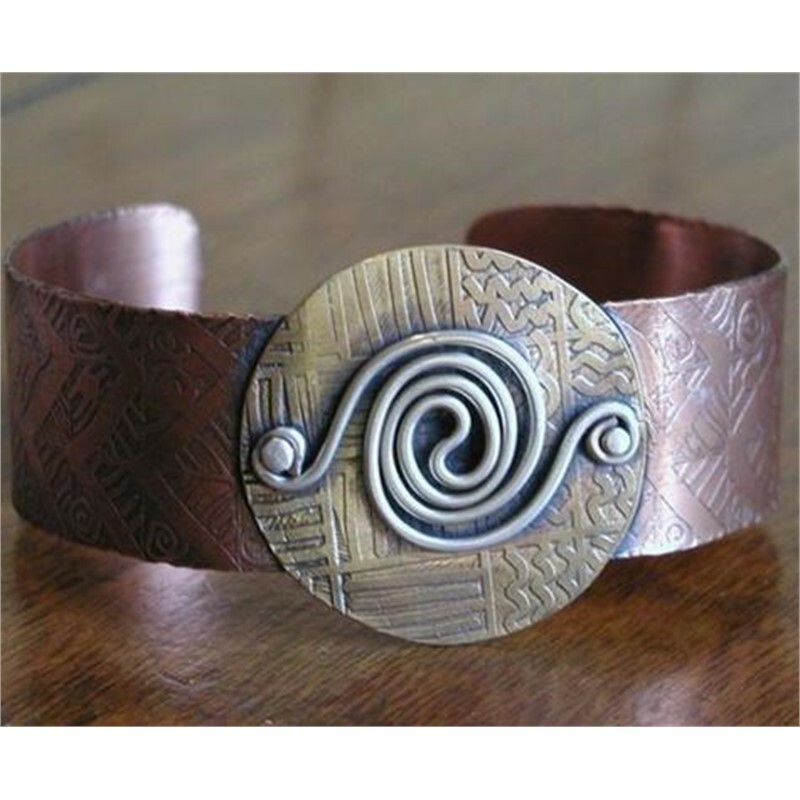 Heating copper produces a red patina that Brown is fond of using in her work. 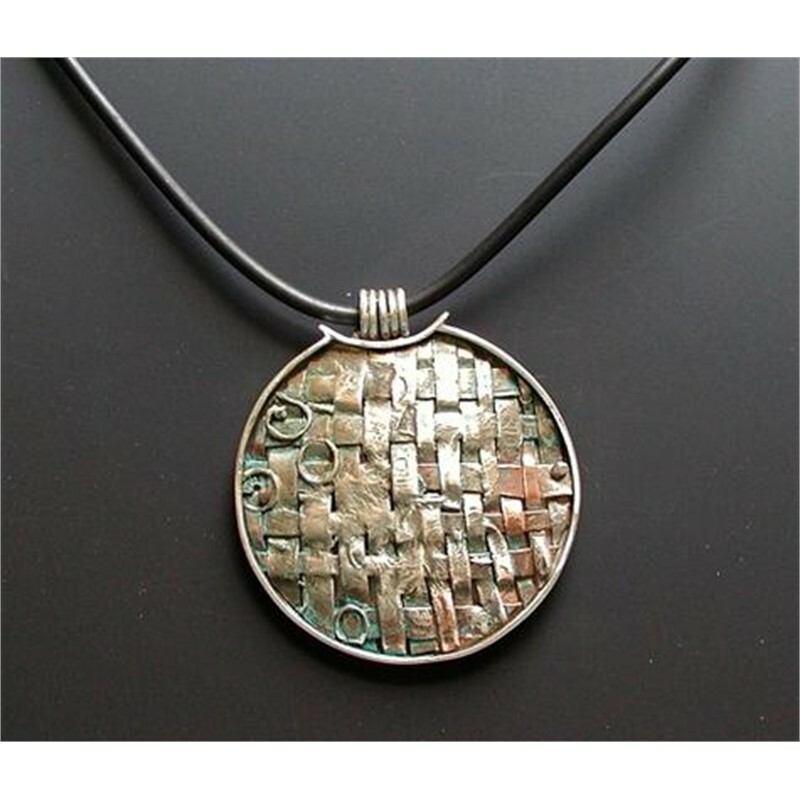 The blue/green chemical patination of copper is also frequently used in her work. Duffy says,"Surprise and humor are important to my design sense. 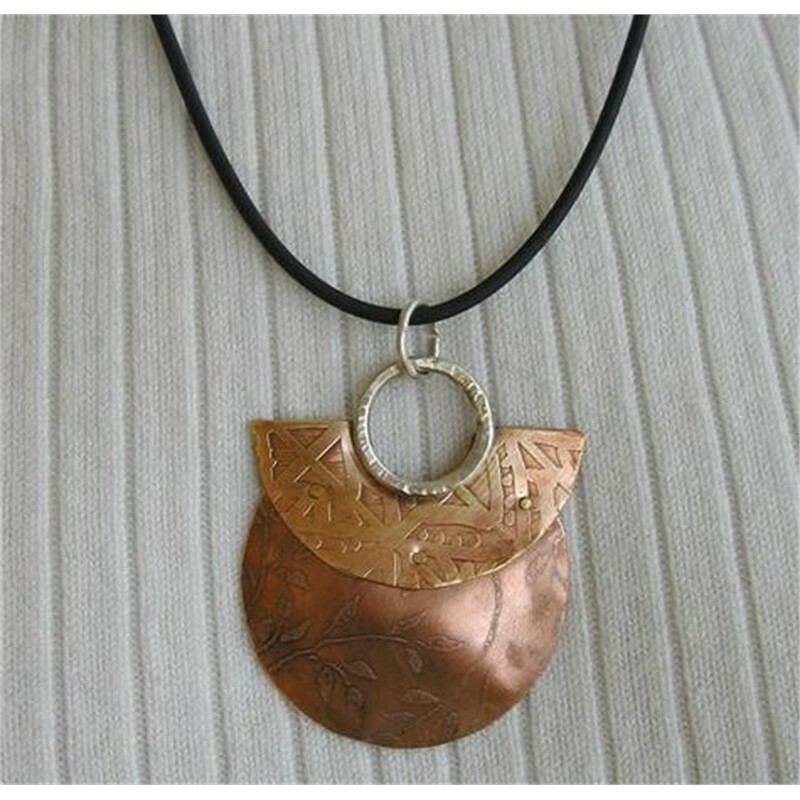 I started my art training as a print maker which makes my designs somewhat different from jewelers who start with metal. The designs are very personal for me. I think they reflect my interest in the natural world and perhaps mirror ancient or aboriginal objects."